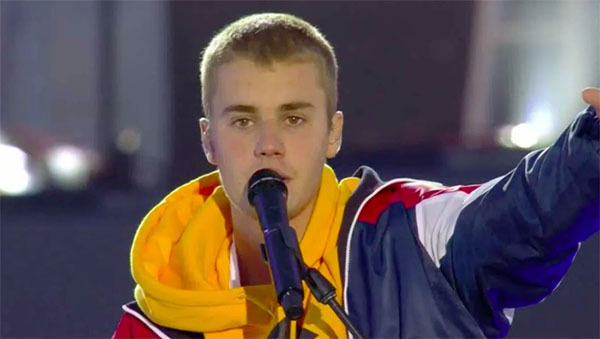 Justin Bieber went emotional and breaks down on stage as he honor the fallen victims during Ariana Grande’s One Love Manchester benefit concert on Sunday. Bieber performed at One Love concert with just his voice and a guitar — he performed some of his hits on stage. The 23-year-old pop star gave one of the moving moment at Ariana Grande’s One Love benefit concert when he honor the victims of May 22 Manchester bombing. Bieber went emotional and broke down before leaving the stage. “God is in the mist no matter what’s happening in the world, God is in the mist.. and he loves you, and he’s here for you,” said Bieber. “I just wanted to take this moment to honor the people that were taken, we love you so much,” he said. “One Love Manchester” is a benefit concert of Ariana Grande featuring Justin Bieber, Katy Perry, Miley Cyrus, Coldplay and Black-Eyed Peas. The concert aims to raise special fund to help victims of the Manchester May 22 blast that killed 22 people and wounded others.